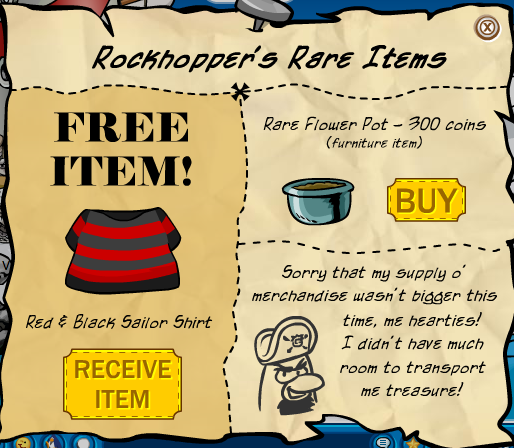 Rockhopper’s Finally here! And here’s what he says. 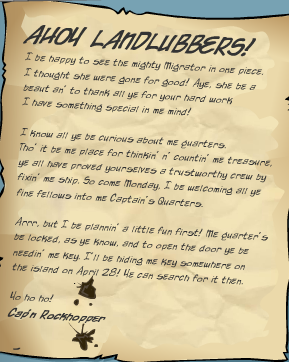 It says on the 28th we get get to see his quarters, Thats only 4 days from now. He also brought some treasure! You’ll find his treasure at the beach!